Although an annual plant, Japanese hop infestations can be very large. Description: Japanese Hops is a herbaceous usually annual vine. Leaves are heart-shaped, palmately 5-lobed.Green flowers bloom mid to late summer. Male and female flowers appear on separate plants. 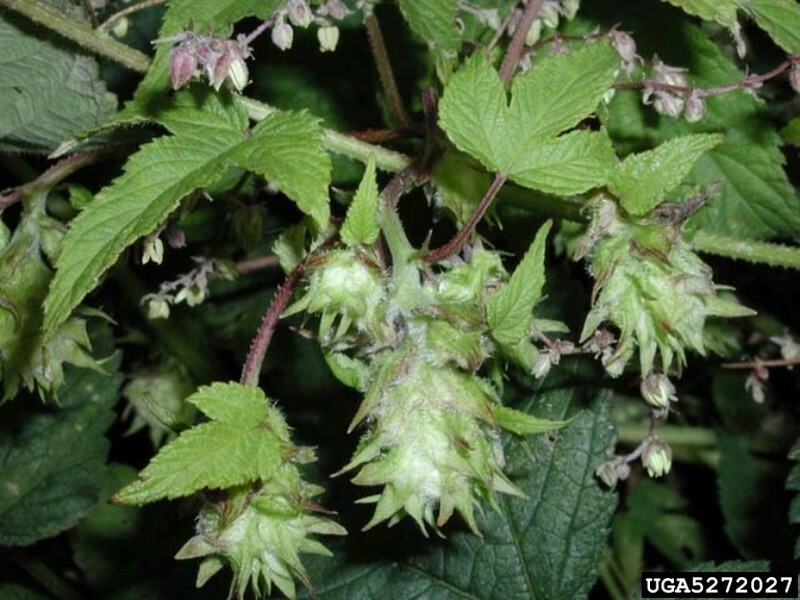 Habitat: Japanese Hops can grow in sand, loam, clay, and acidic to basic soils, though soils must be moist. Plants grow in open woodlands, fields, praries, and riparian corridors. 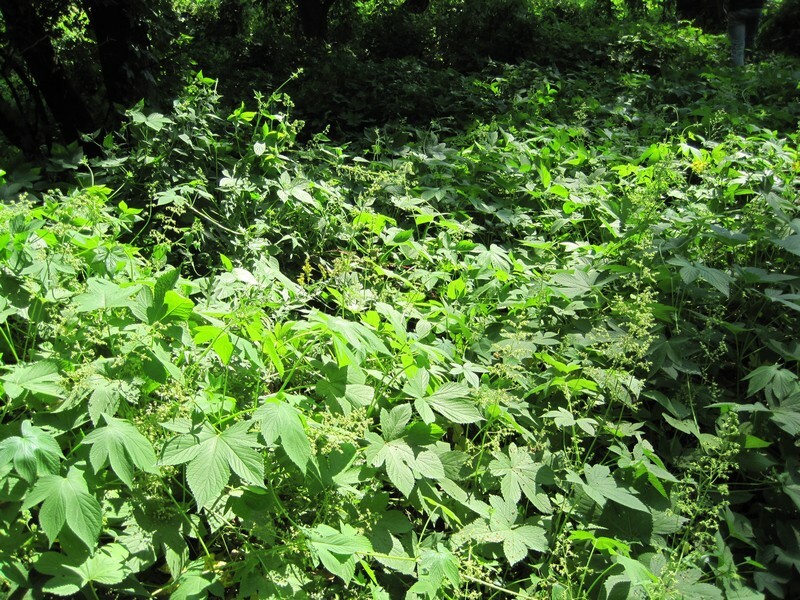 Invasive Traits: Japanese establishes near water, which it uses to help disperse its seeds. 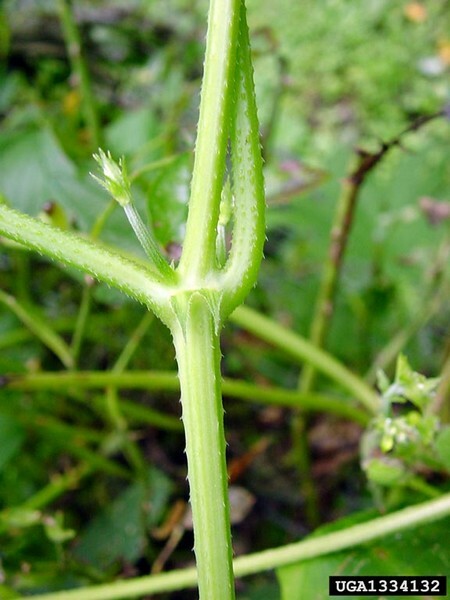 It will reproduce vegetatively, quickly forming a dense cover, outcompeting native vegetation. Downward-pointing prickles on Japanese hop stems allow it to climb over other plants, smothering them. Control: Mechanical forms of control and removal are not recommended due to vigorous resprouting. Applying herbicide to leaves when rootstock is accumulating energy is most effective.